What are the best Roth IRA index funds and ETFs? If you don't want to research and buy individual stocks, it's to your benefit to know which index and exchange traded funds are best. After all, lower expense ratios and/or higher annual returns can boost your savings significantly over time. So why invest your Roth IRA in index funds or exchange traded funds (ETFs)? Because index funds and exchange traded funds offer a quick and efficient method for investing in well-known stock market indices. Instead of paying an active fund manager 1.5% and then hoping and praying to beat the market, you simply mimic the market return while keeping your management costs as low as possible. In the meantime, you get to enjoy all the benefits of a diversified stock portfolio without the risk of underperforming the market! An index fund is a mutual fund or exchange traded fund which mimics the performance of a financial index, such as the S&P 500, the Dow Jones Industrial Average, or the Russell 2000. What's an Exchange Traded Fund (ETF)? An Exchange Traded Fund (ETF) is an investment vehicle which represents a broad portfolio of securities, yet it's traded in the same way as an individual stock on the major stock exchanges. In contrast, mutual fund shares/units are NOT traded throughout the day like individual stocks. Buy and sell orders for mutual funds are executed at the beginning and the end of each trading day based on the calculated net asset value (NAV) of the underlying securities. ETFs can cover a wide variety of securities such as stocks, bonds, commodities, or even specific sectors of the stock market. The most popular ETFs track widely followed market indices, such as the Dow Jones Industrial Average, the Russell 3000, or the NASDAQ 100. For instance, the SPDR Trust (SPY), tracks the performance of the S&P 500. As a result, when you buy a single share of SPY, it's as though you've purchased fractional shares of stock in all 500 companies in the S&P 500. Exchange Traded Funds (ETFs) offer enormous cost savings over actively managed mutual funds when it comes to annual management fees. ETFs typically charge a fee of somewhere between 0.08% and 0.09% of assets versus a typical actively managed mutual fund which charges an average fee of 1.5%. If you're a long-term buy-and-hold investor, the cost difference adds up to a substantial amount of money. That's a 19.9% difference in your retirement, or in this case, $22,158.80...! If you trade frequently or if you simply want to purchase securities at a real-time price while the market is open, then exchange traded funds offer the advantage of instant liquidity. Since they're treated just like stocks, ETFs are bought and sold in real-time throughout the trading day. This allows you to receive real-time quotes on your securities as well as execute real-time buy and sell orders, so you can share in the rest of a trading day's gains or losses. Mutual funds, on the other hand, gather requests for new orders and redemptions during the course of the trading day and then issue or redeem shares at the close of the market based on the net asset value (NAV) of the fund's holdings at the market close. But with ETFs, you don't have to worry about these price swings. When it comes to making long-term investments, you need to limit your transaction costs and trading fees as much as possible. Because just a fraction of a percentage point shaved off of your annual return adds up to a lot over 20 or 30 years. So always keep an eye on costs! One apparent disadvantage of an ETF versus a no-load mutual fund is that a mutual fund usually allows you to add small incremental contributions on a regular basis without incurring additional transaction fees or trading costs. So if you're trying to dollar cost average over a long period of time, or if you only have small amounts to invest on a regular basis, such a feature could save you a lot of money. But then again, an online discount broker like Sharebuilder essentially allows you to do the same thing with ETFs. With Sharebuilder, you can regularly purchase small pre-determined dollar amounts of stocks or ETFs while paying a flat fee for a set number of trades. A number of online discount brokers offer this service, so fears of incurring excessive trading costs with ETFs are not the big deal they first appear to be. In the end, ETFs and no-load index mutual funds are both capable of protecting shareholders from the high transaction fees associated with front-end, back-end, or level-load mutual funds. As a general rule, you shouldn't spend more than 2% of your principal buying into any investment. Because obviously, the lower your cost, the better your investment returns in the long run. If you want your Roth IRA to experience the long-term inflation-beating benefits of the stock market, but you don't have the time to research your own stock picks, then a market index exchange traded fund (ETF) is your best bet. Buy a broad-based market index ETF, and your Roth IRA is essentially on worry-free autopilot (assuming you have at least a 15 year time horizon). You don't have to worry about underperforming it either. Most discount brokers allow you to reinvest dividends free-of-charge, so even if your ETF shares don't substantially increase in price, you should realize a sizeable inflation-beating gain from dividend reinvestment alone. For example, assume for the sake of argument that you had put all of your retirement money in a total market index fund at the market peak in 1929. 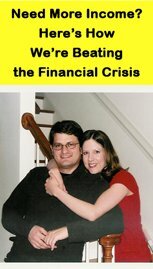 If you relied solely on capital gains (that is, rising stock prices) to fund your retirement, 25 years would have gone by before you broke even on your original investment! In this case, dividends literally made the difference between a 0% annual return and a 6% annual return! But only by taking advantage of the power of dividends. The lesson here is that if you invest in the stock market and reinvest your dividends, and you'll do just fine in the long-term. If you think this makes sense, and you want to put your Roth IRA on worry-free autopilot and reinvest your dividends, make sure to use a discount broker who provides free automatic reinvestment of dividends. In most cases, it's as simple as checking a box in the Settings section of your account. 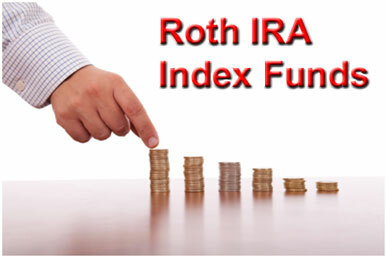 What?s the Best Roth IRA Index Fund? That's a good question, and the answer's not the same for everyone. Take your time and research the best index and exchange traded funds. Compare expense ratios, dividend yields, and levels of diversification... For instance, is the fund in question a total market fund or just a particular sector like financials? Go with the one you're most comfortable with. My personal recommendation is the Vanguard Total Stock Market (VTI) ETF. 1) Its expense ratio of 0.07% is among the best in the industry. 2) It pays a regular dividend which you can automatically reinvest. 3) It seeks to track the performance of the entire market, rather than a select portion. The third characteristic is especially important. As a general rule, the broader the market index, the better. When any fund excludes a large number of smaller companies, investors miss out on the long-term profit potential of some of the fastest growing companies in the world. Oftentimes, those small companies become the large companies of tomorrow. What's most important is picking the right ETF for you. Once you've settled on an ETF, your only remaining goal should be to maximize your annual Roth IRA contribution and plow as much money as possible into your account. And invest in an index fund. Does putting your Roth IRA on autopilot sound boring?